"Everywhere you go, there you are"
I assume the quote above will have many of you asking what that has to do with an auto car detailing business. It is common for any of us to get caught up in the emotion of the "American Dream" of becoming your own boss and creating a business for yourself. No longer working for "the man", but pouring your hard work and efforts into something that is truly yours. 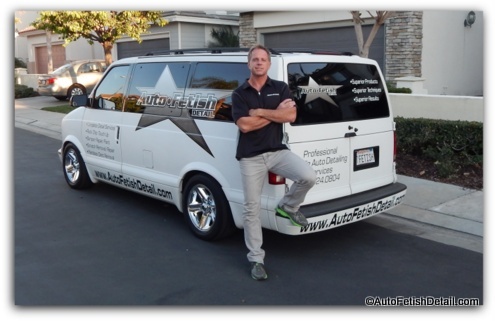 And for many guys (and a few girls), a mobile auto detailing business will appear to be the perfect fit and a path to success. Back when I first started my detail business I had no idea it would start me on a path that would bring me this far and to this point. But here I am today and so very grateful to what I have been able to build for me and my world. Before we get too far down this road of independence and freedom, I want to apply some unconventional thinking that goes almost completely counter to the traditional approach, and at a level will be the equivalent of Darren walking into the room and becoming the big "Buzz Kill"! "Where you are, I once was. Where I am, you may become." "The heights you attain in success, will largely be determined by the depth, strength, and integrity of your foundation"
Just as you would never build a house without proper foundation, you would also not expect to build a sky scraper on the foundation equipped for that of a home. Which is exactly where I am going to come full circle with you and help you gain the understanding of just how critical it is to build the proper foundation. Buy endless chemicals, products, tools. "What most people fail to realize is that you ARE the foundation! Everything you do towards attaining your goals, dreams, and aspirations originate from the foundation of YOU." If nothing else, my own experience through life has taught me that success in any area of life all begins with YOU! You are your own business regardless of whether you are working for someone or working to build your own empire within the world of professional auto detailing. Likely you have never thought about "you" becoming your own corporation. I think this is a perfect metaphor in how you choose to engage with life, and the kind of life you want to create for yourself. "If you were listed on the New York stock exchange; how much would your stock be worth?" Suddenly when it is put this way, you can begin to look at yourself as an actual business entity. Endless abilities, skills, and potential to offer to the world, just like any other business. "Raising the Value of Your Stock"
Whether you are currently working as a wage slave, living out your days in quiet desperation in a dead end job, or have already made that leap of faith into the unknown of business ownership, it is never too late to build upon the foundation of you. "How much do you want your stock to be worth?" I have always embraced this concept in my dedication to create a life worth living and one driven by purpose, rather than living a life of default. It is a path and quest that is never ending as I know that my best today, should not be my best tomorrow. "The Endless Pursuit of Excellence"
I never had the privilege of what would be considered a traditional childhood. My father divorced my mother when I was ten and my chances at normalcy changed in an instant. Before my dad bailed on us, my greatest concerns in life were staying clear of the school yard bully, trying to look less dorky than I really was, and daily homework. The day he left my world rotated 180 degrees and instantly went from kid to adulthood. Without so much as a single bit of instruction, I was left to care for, and maintain an entire house with both a rather large front and backyard. Suddenly we had no money in which to do any of this. As I was being tossed to the wolves, so was my mother. A woman who had just spent the last 14 years as a stay at home mom was now "compelled" to enter the workforce to help support my four sisters and myself. My slacker father dismissed us entirely. Along with my new reality of self-preservation and the daunting task of maintaining a decently sized home, I also had zero help of any kind. And it is this reason that I eventually found my mentors in life in the form of the written word. Most of my life has been spent living without this amazing thing called the Internet; endless resources! But before the Internet, it was books for me. Technology now provides us with endless ways in which we can obtain and digest information. This page will continue to expand as I come across new resources that I find myself that I think can also benefit you and your world. 7 Habits by Stephen Covey is what I consider the owners manual for life. If you truly come to understand that every part of your life will involve a relationship of some kind, then this book is a must. I have studied (much different than simply reading it from cover to cover) this book over the last 30 years of my life. I cannot recommend this more! It is just as relevant today as it has always been. Cold Hard Truth by Kevin O'Leary is what I consider the simplified version of straight talk regarding money, and how money is involved with most relationships. An easy read, this is a simple way to grasp fundamentals that most people are not taught, but what I consider required understanding and reading for all! Until I read this book, I thought I knew how important trust was. You will come to learn how trust is paramount to a solid foundation of any relationship; including the relationship you develop with yourself. Do not underestimate the power of self-deceit and its destructive nature; something I observe in people on a daily basis. This book will truly open your eyes to what I consider to be the elusive obvious as to the depth and scale that trust plays into every part of your life. Rich Dad, Poor Dad is almost iconic. A must read to develop what Robert Kiyosaki labels as financial intelligence. To me this book lays the basic ground work for understanding the difference in assets and liabilities. Being a "wage slave" vs. an entrepreneur. The false sense of security that has been groomed into most of us by the popular thinking of culture. Robert is a huge real estate advocate in building wealth. Do not be distracted by this, but simply become educated on the distinct differences of traditional thinking of money, and Robert's take on the subject. Very few people have even a basic understanding of tax laws and consequences. One of the big pushes with anyone starting a business of any kind is the need to form a corporation. While this book will convince you to rush out and form a corporation, to this day I still operate my business as a sole proprietorship. What this book will do most importantly is help you understand the different legal entities and lay out the pros and cons of each so that you at least have enough understanding to ask the professionals the right questions. I went through my own physical transformation back in 2002 as a result of this book and have maintained my new self ever since. Interesting is how much this book is a direct parallel to how I operate not only my auto detailing business, but every other part of my life. Minimal effort to achieve maximum results. Bill Phillips cuts through so much of the hype that the health and fitness industry is built on to reveal a truly simplified plan for life-long health and fitness. This book is how I was able to transform my physical body in a way that was truly unbelievable to myself and everyone around me. When you have the right mentors, it literally can catapult you so far ahead of what you thought imaginable! Renny Doyle is a leader in the auto detailing world and when I read this book I was pleasantly surprised. I have read other books on how to start an auto car detailing business, but these were all watered-down, generic business books written by people who likely had never operated an actual detailing business. While I think many of the subjects need to be further developed for greater understanding, Renny is clearly speaking from experience. My only concern with this book is that some people will be overwhelmed at all the legal aspects of opening a business. From incorporating, to insurance, to regulations, etc., etc. My suggestion is to not over-think all of this at the beginning and take what I consider the very basic and essential steps to get your feet wet, and then tackle these other aspects one at a time. Definitely worth the small investment of the cost of this book! Having personally met Mike Phillip's, I can attest to his high level of professionalism and skills; especially when it comes to high-end paint correction techniques and car polishing in general. This is the book I wish I had time to write, and at some point plan on doing. It would just be with my own unique spin on things as I have experienced in my own professional auto car detailing business. And I know that most guys can't help being forever intrigued and seduced by the glamour associated with high-end paint correction and car polishing. So this book is your go-to book for a complete written instruction manual for all those that just can't resist. Back in 2006 I was able to look over the horizon to things coming; the housing bubble that was about to burst. Despite my disdain for digital technology, I knew that if I did not learn how to become relevant through a website, my auto car detailing business would likely shrivel into oblivion! At the time I was barely able to send an e-mail and honestly did not even see the need. But I was convinced that the Internet would only grow and I knew I better learn, or become extinct. With that said, building a website is vastly different than becoming relevant and visible for people using the Internet to find detail services. This book is the go-to book for how you can leverage your website by using the power of Google with only a few dollars a day to drive hundreds, or thousands of dollars worth of detailing business to your door. An excellent book that is very eye-opening as to how/why people really "buy". This book goes well past the obvious and standard conclusions that you may have and digs into the psychology behind the way people think and act. If you are looking to grow and develop your business, this a great read that can aslo help you in "selling" your services at every step of the way: in person, over the phone, or through your website. A true eye opener from a person called the Worlds #1 small business guru! I consider this a must read and should be part of required reading for any guy looking to start their won auto car detailing business! If you are one of those people that judge a book by its cover; the E-Myth is about the entrepreneurial myth, not E-commerce as in electronic commerce. This book really breaks it down for you as to how make your business work for you, rather than you working for your business. I promise you will not be disappointed! 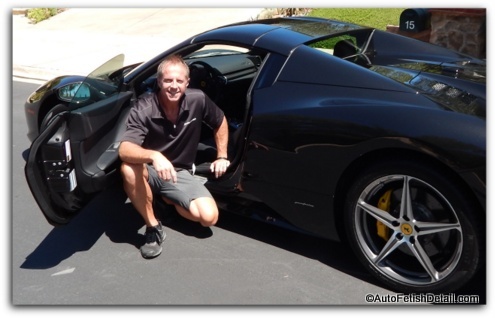 Paying "Auto Car Detailing Business" Forward! My sincerest hope for you is that you take the advice from this page and apply it to your life and continue to build that most critical part of any equation in your life, and that is the foundation of YOU! You can help me further my efforts in helping as many as I can by sharing this page through any social media outlet of your choice.